Sea, Sand & Sky: Back in Blue at Save the Harbor! Back in Blue at Save the Harbor! Summer 2013 has officially begun! This week marks the beginning of Save the Harbor/Save the Bay's youth programs, with training around Boston Harbor for both new and returning staffers. My name is Carolyn Burkett and this will be my fourth summer here at STH/STB -- after an eventful school year, I'm so excited to be back in Boston and am ready for lots of fish, Frisbees and fun! 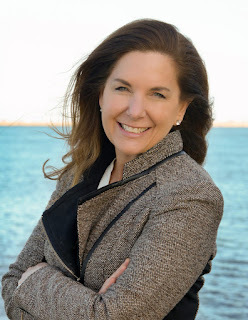 For newcomers to this blog, I have lived in Swampscott, Massachusetts my whole life but have been traveling back and forth between Beantown and Winston-Salem, North Carolina for the past few years to go to school. This fall I will start my senior year at Wake Forest University (Go Deacs!). 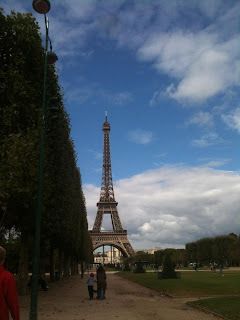 This past fall semester I was even farther away from home -- I spent four months living and working in Paris for my study abroad and it was incredible! I'd go back in a heartbeat. Not a bad view on the way to work every day! This summer a new part of my job at Save the Harbor is in the office instead of on one of our eight sites. I've been helping to book trips for All Access and communicating with the different groups that we partner with to provide thousands of children with a day on the Harbor Islands they will never forget. It's been really interesting to work with groups before they arrive at the Bank of America Pavilion for their trip, and hopefully we'll be taking even more Boston kids out on the Harbor with us this year! Looks like summer fun with Save the Harbor and the East Boston YMCA! Stay tuned to hear more about our great programs and the fantastic kids we'll be exploring the Harbor with this summer!